in the vision services industry. 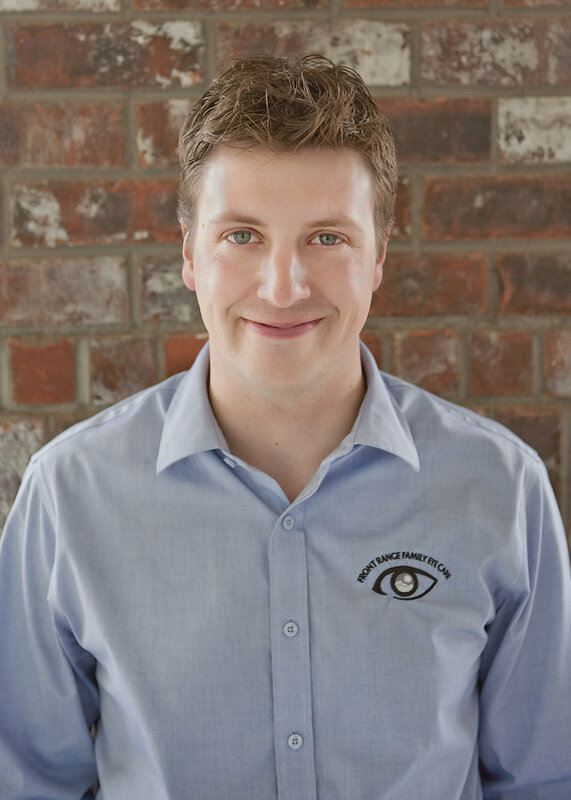 Dr. Kent Godfrey, O.D., graduated from the Illinois College of Optometry in 2006 and joined Front Range Family Eye Care with a special interest in disease evaluation and treatment, including glaucoma, cataract and laser refractive surgery management, and contact lenses. 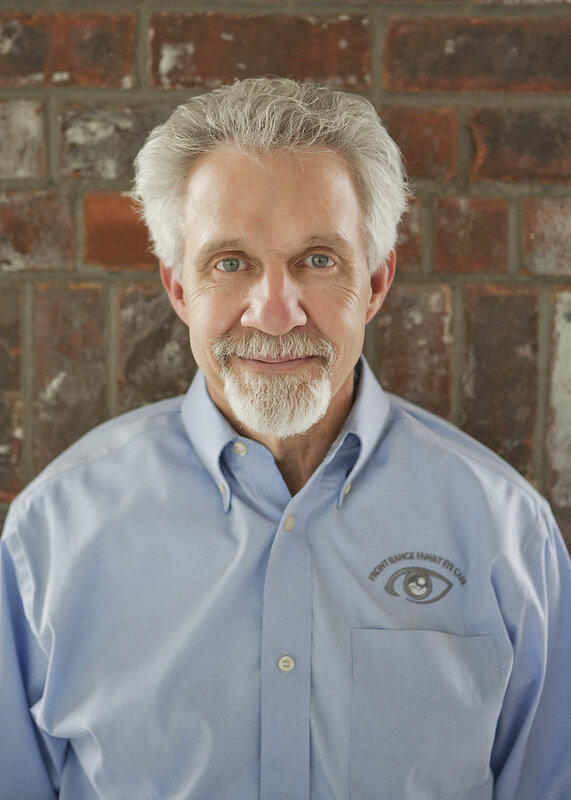 Dr Godfrey has participated in over 15 missions with Volunteer Optometric Services to Humanity (VOSH) providing eye care to underserved populations in Mexico Costa Rica, Honduras and Chile. Just ask him about his work! Dr. McQuaid trained at Southern California College of Optometry and then taught and practiced at King Saud University in Riyadh, Saudi Arabia. In addition to over 25 years of private practice here in Colorado, he currently teaches at a university in Thailand. He spent time as an adjunct professor at the new Rocky Vista University here in Colorado. He recently taught other optometrists in Alaska. Dr. McQuaid is a dedicated fan of the University of Denver Pioneer hockey team. Dr. Moen, O.D., graduated from the Illinois College of Optometry. He has been in the optometry field since age 15 when he started working as a tech in his parents’ practice. He received training in ocular diseases at the Mountain Home VA in Tennessee, and in binocular vision disorders from Hellerstein and Brenner in Denver, and in specialty contacts for corneal diseases in Atlanta. Karrey just joined our team. We'll have a bio up for him soon. Dr. Cole Wilson is a Colorado native who spent his youth playing basketball and hiking in the mountains. 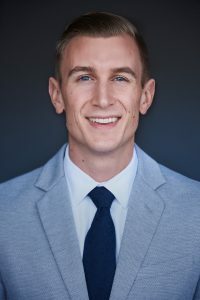 He attended Concordia University of Nebraska where, after three years, he was granted early acceptance into Pacific University’s College of Optometry in Forest Grove, Oregon. 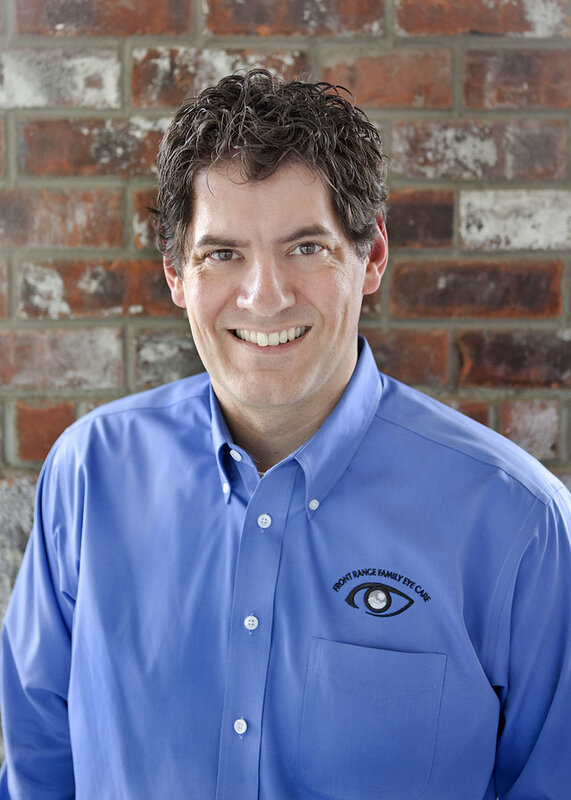 Dr. Wilson received his Bachelor’s degree in Vision Science in 2014, while working toward his Doctorate in optometry. In school, he was involved in numerous clubs, one of which allowed him to travel to Nicaragua to serve the people there. During his training, Dr. Wilson worked at a variety of clinics, including Indian Health, the Veterans Affairs Medical Center, and a surgical eye care center. Dr. Wilson received his Doctor of Optometry degree in May 2017, and joined our team shortly after. Dr. Wilson is dedicated to cultivating relationships with his patients and volunteering in his community. He enjoys discussing nutrition and the eyes, managing and treating ocular disease, and helping patients overcome their dry eyes. In his free time, Dr. Wilson enjoys exploring new areas of Colorado, finding new hiking trails and investing time into relationships with his family and friends at local coffee shops. He is an avid craft beer enthusiast and can often be found experimenting with new ingredients and ideas when brewing his own beer. He and his wife, Ashley, like to spend as much time as they can outside, relaxing, reading, and hiking. 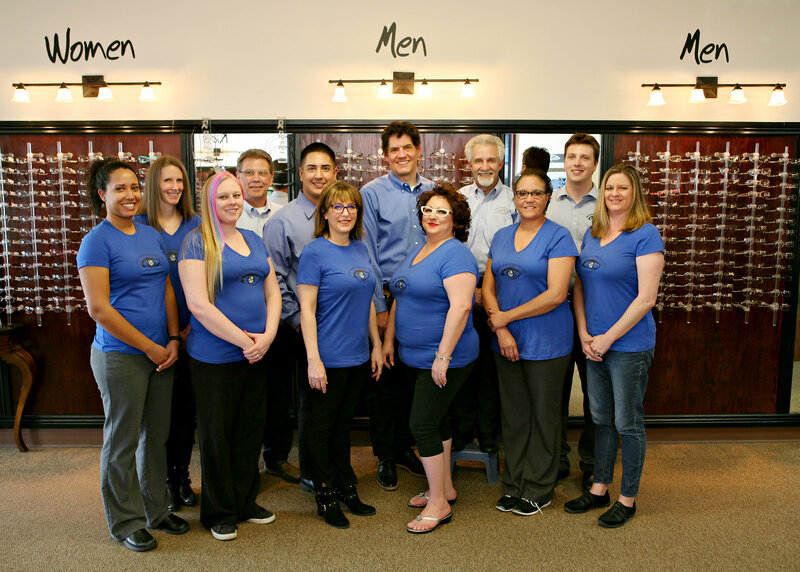 Jennifer is a fabulous addition to the team at Front Range Family Eye Care. When training to become a Certified Optician, Jennifer trained with us and returned after a few years to where she can fully utilize her skills. She has a fantastic eye for detail which is a huge asset in frame selection. Jennifer enjoys spending time with her family and the great Colorado weather. Joanna has been with Dr. Tyler since 2000. Dr. Tyler taught her everything she knows (so we could be in trouble). Joanna has been married for over 19 years and has 3 wonderful children, two sons and one daughter. She has a love of dogs and has recently adopted a new little puppy. When Joanna is not serving her patients you may find her enjoying a wide range of outdoor activities such as kayaking, hiking, biking or simply enjoying a good book in a natural setting. She enjoys movies, mexican food and a good margarita, but lets not forget the wine. 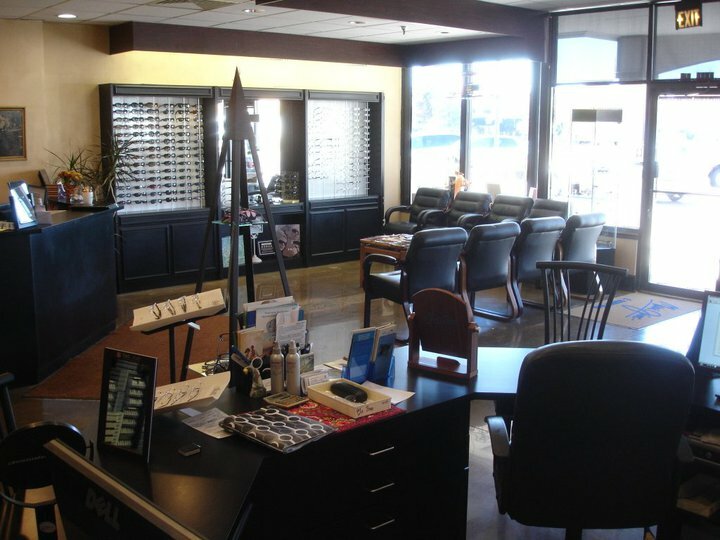 Toni began her career as an optician in a small northeast Colorado town in 1997. After those two people died in a shoot out, she had to move. Since then she has served many roles in the field of Optometry including Optician, Contact lens Instructor, Lasik Patient Counselor, Billing Specialist and Office Manager. She joined Front Range Family Eye Care in 2010. As a premier Eye Wear Consultant, Toni brings an honest enthusiastic approach to helping you choose from our latest collections. Toni’s love and passion for the industry is evident to her many patients who want specialized service from an industry expert. When not at the office, you will find her enjoying a wide variety of activities with her husband and children. Denise Rodriguez joined the Front Range Family Eye Care team in January 2017. She brings passion to her position as a certified biller/coder. She is professional yet fun loving and compassionate. Denise takes pride in her work and she does her best to keep our patients happy. When she is not taking care of our patients you can find her spending time with her large extended family. Nikita comes to us with quite a colorful lifestyle. She is a former WWE/OVW Wrestler, has driven Monster Trucks, participated in Catch Wrestling/MMA and also provides Personal Training. Nikita has done some acting and stunt work for movies/commercials. Definitely one for performing arts, music and anything creative. She loves her English Bulldog “Lucy LeFluer” Nikita strives to make people laugh with quick wit and enjoys helping others. She also loves to travel, motorcycle rides and indulging in cheat meals. Originally from Minnesota but has been in Colorado since 1998. All we can say is Uff Da when it comes to Nikita! Dawn is an American Board of Opticianry certified optician, bringing nearly 30 years of experience in the optical industry to our team. Born and raised in the midwest, she also spent much of her childhood growing up in the Denver area. Returning to Colorado from Chicago in 2009, with her husband of 14 years and her two adult children, she continued her career in optics, while completing her degree in Mortuary Science which led to becoming a licensed Funeral Director as well as an Optician. Her innate desire to help others has always been and remains to be the driving force behind all that she does. Dawn enjoys watching movies, food, travel, camping, theater & fine arts and most importantly, spending quality time with her family (including her cat & "Grand-puppy"). She and her husband recently broadened their life experience by joining the "tiny house" movement and moving into their 38ft motorhome permanently, loving every moment of the experience! ~ "Life is not measured by the number of breaths we take, but by the moments that take our breath away. 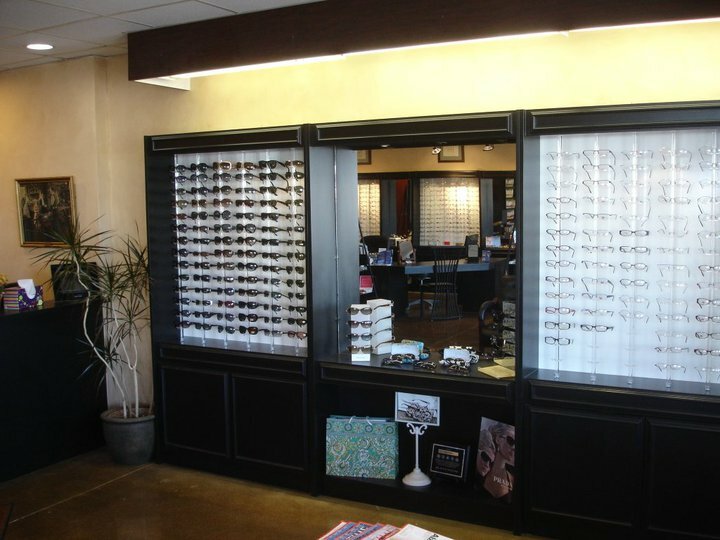 Joe has been with us for 6 years and brings over 30 years of experience in all phases of our industry Joe excels at frame and lens choice for our patients, as well as understanding complex prescriptions. 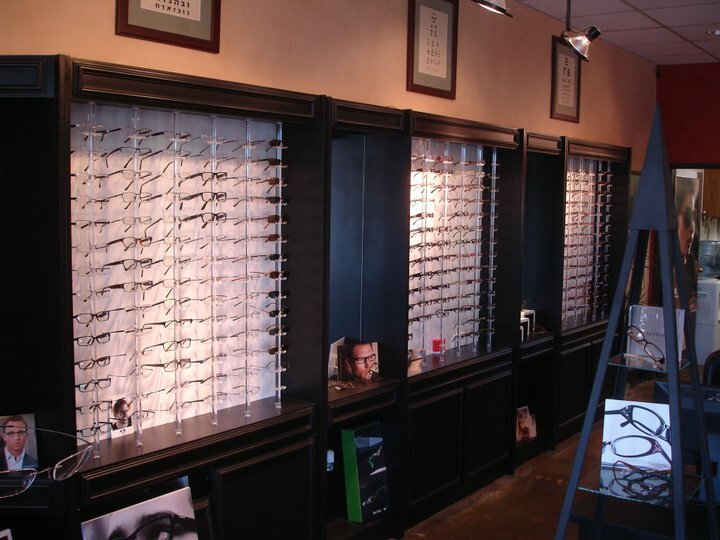 He is a people person and says he loves helping patients with all their eye care needs at Front Range Family Eye Care. Debbie joined our team along with Dr. Tyler. She has worked with Dr. Tyler for 10 years (since 2008). Debbie lives in Colorado Springs with her husband of 29 years (almost), has 2 children and a love for dogs. When Debbie is not taking care of her patients in our Castle Rock location, you can find her hiking 14ers and other mountain trails. She also loves camping, travel, food, wine & dogs! She has adopted 4 dogs over the years, but currently has only one. She does get plenty of other puppy lovin' as her son and his pup are currently living with her and her daughter and her pup live close by. She gets plenty of puppy kisses when they are all together. Did we mention, Debbie loves Dogs? ;) We are excited to have Debbie as a member of the Front Range Family Eye Care Team. Carmen has recently joined the Front Range Team and has already demonstrated her passion for providing excellent customer service. Carmen lived abroad in Saudi Arabia with her husband of over 30 years and while there she worked for SAAD Hospital, the most prestigious hospital in the Eastern Province which “looked more like a palace than a hospital”. When not working Carmen loves to travel and hike, most recently completing a pilgrimage by walking the Camino de Santiago from Leon to Santiago in Northern Spain, a distance of roughly 300 miles. Carmen has three children and three recent grandchildren and enjoys spending time with her family. We want you to feel comfortable when you visit. That's why our renovations are up to date, so you'll feel at peace when you visit.